Microsoft Office 365 is a powerful suite of productivity and collaboration tools, but it can be tough to adopt on your own. That’s where Hostway comes in. 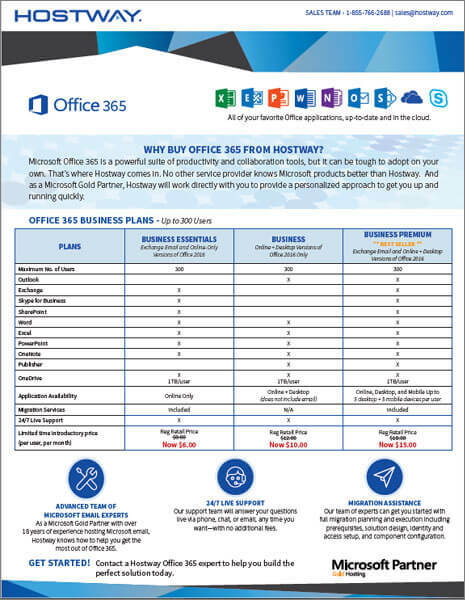 No other service provider knows Microsoft products better than Hostway. And as a Microsoft Gold Partner, Hostway will work directly with you to provide a personalized approach to get you up and running quickly.